Yeast can aggravate allergies and contribute to excessive candida growth in the digestive tract. Because of today’s diet-sensitive population, there are more options than ever for purchasing and baking yeast-free breads. 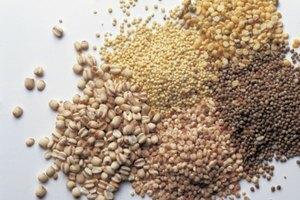 Many yeast-free recipes and products indicate a return to traditional baking methods used before the introduction of commercial yeast about 100 years ago. Yeast-free breads are easy to make and with ingredient changes to flour type, spices, fruits and nuts, you can bake a variety of naturally leavened breads to satisfy any pallet. Sprouted grain bread is a round, cake-like loaf that tends to be sweet and moist. The sweetness is due to the sprouting process, as these recipes are sugar free. This bread dates back to prehistoric times and is made from sprouted wheat or rye kernels rather than enriched wheat or rye flour. The basic recipe is based on the ancient Essene bread in which sprouted grain was the only ingredient. Contemporary versions of the bread use fruit, nuts, carrots and cinnamon to provide different flavors. Unleavened bread--so called because it is made without rising agents--is made from flour, water and salt or oil. The bread is simple and quick to make, requiring no time for the dough to rise. Traditional unleavened breads hold religious significance for Jewish and Christian services and holidays, such as matzo bread for Passover and wafers for communion. Flatbread is a staple in many cultures. This bread is similar to unleavened bread, although some recipes require yeast and other additives such as curry powder and flavored oils. 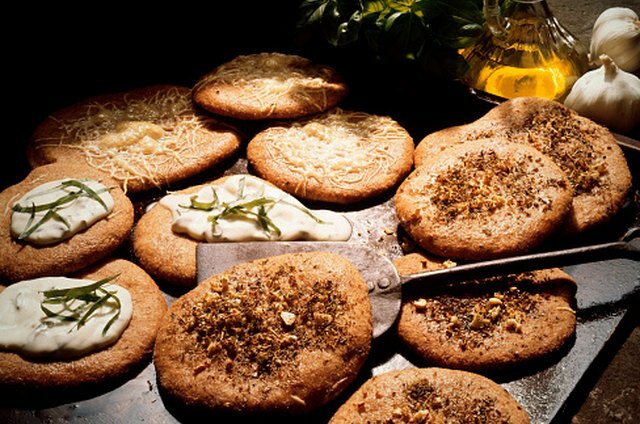 Flatbread is based on a simple recipe with changes to flour type, spices and other additives reflecting the country of origin. Native Americans made their flat bread from maize flour. 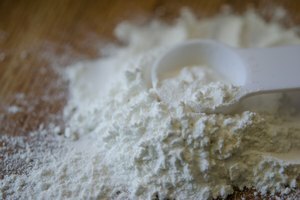 Chapati breads of India and Pakistan use atta flour. 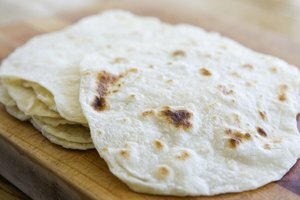 Lefse bread, native to northern Europe, uses potato, milk, flour and sometimes lard before it is cooked on a griddle. 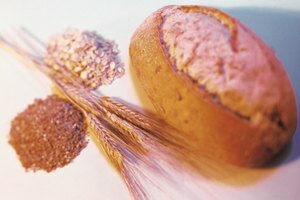 The popularity of diet restricted foods, usually wheat, gluten and yeast, has made it easier to find commercially baked yeast-free breads. One of those products is brown rice bread. Made from brown and white rice flour, vegetable oil, salt and leavening, the bread is offered by several different baking companies and is available at health food and specialty stores. Based in Washington’s Puget Sound area, Suzanne Geller has written about software, health and business since 1987. Her articles have appeared in “Entertainment News NW,” “Synergy for Success” and various trade publications. She holds a Bachelor of Arts in English from California State University at Northridge.